Place the basil, oil, lemon rind, juice and salt in a large bowl. Using a hand-held blender, blend until smooth. 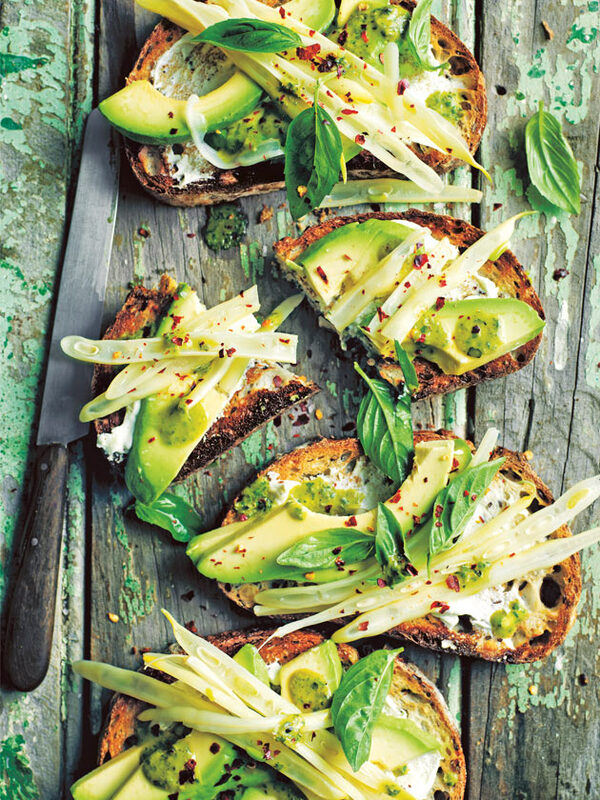 Spread the labne over the toasts and top with the avocado, beans, basil oil, chilli and extra basil leaves to serve. Makes 4.